In this town, Sunday afternoon, November 18th, at his residence on Peaceable Hill, Oliver Crane departed this life in the 89th year of his age. Last January Mr. Crane was taken ill. As month after month passed without sign of improvement in the condition of the aged patient, his friends believed that the then physical prostration would end in death. Along in May, however, there was a change for the better and a month later Mr. Crane was out in the fields giving the usual instructions in relation to his farm work, and there was no change in his condition until the day of his death. The noon-day mean on Sunday was just to Mr. Crane’s liking and he ate very heartily. By way of exercise he joined his nephew, Mr. Snow, in a walk about the farm. Returning to the house they entered Mr. Crane’s room. A window was raised and Mr. Crane placed his hand upon the sill and leaned forward as if to look at some object in the yard. Mr. Snow noticed that his head had fallen between his hands and stepped quickly to his side. Without a sound or the movement of a muscle life had left the body and Mr. Snow held in his arms a corpse. Oliver Crane was born in the town of Southeast at the beginning of the present century. He was a son of Josiah Crane, Josiah’s father was Joseph 2d, son of Joseph. Joseph’s father was Jonathan and Jonathan’s father was John Crane, who came from Suffolk, England, and settled in Massachusetts about 1675. It was the first Joseph who, in 1740 established “Crane’s Mills” on the east branch of the Croton River, in the town of Southeast, on the premises recently owned by Stephen C Barnum, now taken by the city of New York for reservoir purposes. The second Joseph, Oliver’s grandfather, occupied the old homestead and continued to run the mill. He left thirteen children, among them Colonel Jonathan, of Revolutionary fame, and Josiah. C.C. Fitzhugh’s farm, now known as “Fairview,” was once owned and occupied by Colonel Crane, Josiah married and lived in a separate dwelling on his brother Jonathan’s farm. His son Oliver, the subject of this sketch was the oldest member of the Crane family living in this vicinity and his death calls to the minds of many aged citizens the early history of the township. The families of Crane, Waring, Barnum, Howes, Townsend, Paddock, Crosby, Sears, Field, Hall, Doane, and Kent are believed to have been the first settlers of Southeast = all having located here about 150 years ago. 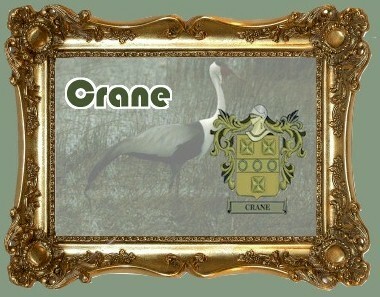 Mr. Crane was a farmer, a quiet, unobtrusive gentleman of dignified bearing always just in his dealings and correct in his living. In religion he was a Presbyterian and in politics a Republican, having voted for both Harrisons. He leaves a widow, Maria Snow, one son, Henry, and one daughter, Arnetta, wife of William B. Reed. One sister, Deborah, residing with the deceased. Another sister, Sarah E., is the wife of James Weed. One brother, Darius, resides in Michigan. The funeral took place at his late residence on Wednesday. Rev. W. F. Benedict officiated. Interment at Milltown.